There’s always at least one good reason that a specific food should not be eaten during a Candida treatment, and if you have a Candida overgrowth, then you probably already know that the reason usually has to do with trying to avoid foods that can feed the Candida. 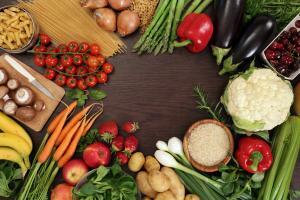 But there are many other reasons to avoid specific foods while on a Candida diet. One example is polyunsaturated vegetable oils. These oils can interfere with your body’s production of prostaglandins which are types of hormones. Normally an imbalance of hormones is already a problem with a Candida overgrowth, so using these oils would only be adding to the problem. In research studies, polyunsaturated vegetable oils were shown to increase the human body’s need for antioxidants and are also toxic to the liver; another reason not to use them in your diet. Yet another reason to avoid a specific form of food is if it’s a substance which will improve the environment of the intestines in favor of the Candida; an example would be red meat and pork, both of which release ammonia when the proteins are breaking down of the body. Ammonia is naturally produced by the Candida in order to increase the chance of their survival in the intestines of humans. The same is true with alcohol; it improves the environment for the Candida’s survival and reproduction. Just as there are reasons to avoid certain foods, there are also many reasons to include specific foods on a good Candida diet. Reasons such as obtaining as many nutrients as possible from the foods to be allowed; some of the foods should include anti-inflammatory properties, and foods that will help to heal leaky gut syndrome, to provide vitamins and minerals to heal and strengthen both the adrenal glands and the immune system; to include prebiotic foods that will feed the beneficial flora the intestines must be reestablished with beneficial bacteria if an end to your Candida symptoms is to be reached, and the foods should also provide sources of probiotics. 6. Most fresh herbs with the exception of those containing the substance ‘berberine’ such as Oregon grape, goldenseal and barberry. 1. candy, cakes, sodas, cookies, ice cream, etc. 2. all wheat products including bread, flour, etc. 5. peanuts, almonds, hazelnuts, etc. 9. regular mustard, catsup, mayonnaise, etc. Always check your labels if you’re not purchasing fresh products such as vegetables. Hidden dangers abound in the food industry. A good rule of thumb is, if you can’t pronounce the name of any ingredient, leave it alone. Also watch for any hidden forms of sugar which include Dextrose, maltose, galactose, and turbinado. The fewer the amount of chemicals and food additives you ingest from your foods, regardless of the type of diet you eat, the better your health will be. 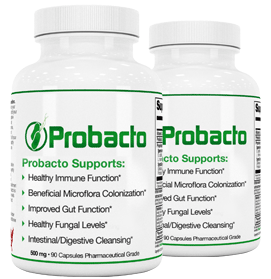 The links that are on the Candida Diet and Protocol as well as the links in these articles were placed there by the owners of this website, Probacto.com. Any and all payments that are received via the links as well as all profits from the sales of products marketed on this website are received by the owners of Probacto.com. I read everywhere that I could also eat almonds and pecan nuts during the candida diet, but here on your page it’s not allowed. I agree. The list my Dr gave me said I could have almonds, pecans and walnuts. I ate rice cakes and almond butter which curbed my desire for sugar. 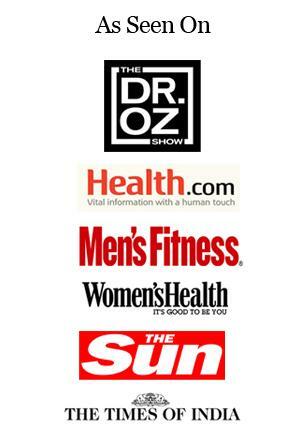 The diet was VERY successful as i was full of rashes and they were all gone within several weeks. I also ate lamb, and I see on this list that red meats are to be avoided. The diet made me lose forty pounds and made me feel great, so i stayed on it for at least fifteen years. I’m confused. I also thought that almonds are ok to eat. And I have a problem. Being vegetarian since I can remember and vegan the past 2 years, left me with not much to eat! And nobody really tells me how long its gonna last so what i’m I suppose to do? I’ve been drinking almond milk and it hasn’t caused me any grief that I’m aware of. No peanuts or peanut butter. I read that pumpkin seeds are good on a candida diet. 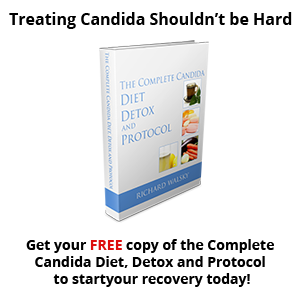 It’s so confusing when some candida diets include foods that others do not. Many agree what to avoid but there are many discrepancies and conflicts. I guess it means experimenting but I prefer not to do that. So tired of eating food that I’m not interested in and that tastes like cardboard. Sigh. But my cravings for sweets is 10% what it used to be so the candida must not be ruling my taste buds anymore! Yes i would like to know that to if i can eat Quinoa!! please let us know..
i thought you can eat pumpkins seeds and walnuts ammonds. Some sites say you can have avocado some say you can’t. Is organic chicken the only protein . I have been eating almonds, cucumber, red peppers and wondering now if these are not ok and perhaps why my die off symptoms were bad. I also bought lamb antibiotic free, red meat that was antibiotic free, turkey etc and thought meat was ok? This is truly confusing. I am going to eat the chicken, turkey, and lay off the red meats, almonds, cucumber and red pepper and see if my symptoms improve day 17 of eating anti-candida. Thanks everyone for posting here as it does help to read comments from others in the know.